At Coastal Attic Insulation & Specialty Services our technicians are committed to providing an extensive list of services for all of your residential and commercial insulation needs. 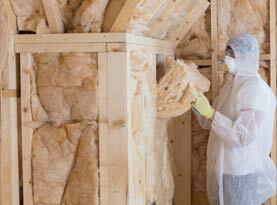 Our skilled technicians are certified and trained in all areas of insulation installation and removal. Our company takes pride in our exemplary level of customer service and satisfaction. Home or business owners in the California area that have fiberglass insulation in crawl spaces and have experienced water damage should have the old insulation immediately removed to avoid mold build up. Black mold in particular can cause serious health risks to you and your family. Once our technicians have removed the wet and damaged insulation they will treat the area with an application of spray disinfectant that will kill odor-causing bacteria and stunt the growth of mold and mildew. This all-in-one disinfecting product will clean, fungicide, germicide and deodorize to ensure you families safety and wellbeing. 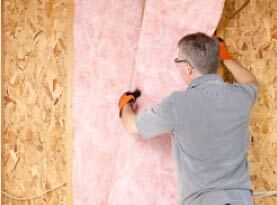 Fiberglass and Spray Foam applications are two of our most popular insulation products. Once the crawl space and walls have completely dried and are treated with disinfectant, our technicians can install new insulations to make your home comfortable and energy efficient. 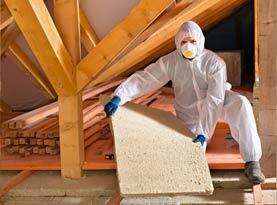 Fiberglass insulation is one of many choices made available to California home and business owners. Fiberglass in inexpensive and can be installed quickly. 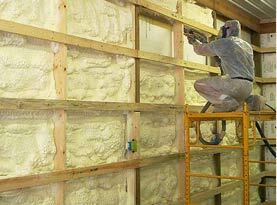 An alternative to fiberglass is to install closed cell spray foam. The closed cell structure of the foam is designed so that water is unable to penetrate the surface of the foam stopping water from moving into home. Spray applied closed cell insulation is approved and supported by the Federal Emergency Management Agency (FEMA) and the National Flood Insurance Program (NFIP) Spray foam is ideal if you live in an area in California that may be prone to flash flooding. Spray foam is also a much more effective way to insulate against the heat, spay foam will help you save on energy costs and improve the indoor air quality of your home or commercial business in California and the surrounding areas. The method behind spray foam insulation is to stop air infiltration to ensure your home stays cooler in the summer and warmer in the winter. Evidence suggests that up to 40% of a home’s energy is lost due to air infiltration, utilizing spay foam insulation will decrease the amount of energy your home loses and in turn create a reduction in your power bill. Other benefits include deadening sound and reducing the risk of the development of mold.